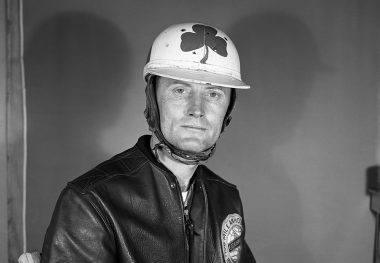 PAT FLAHERTY competed in six Indianapolis 500 races (once as a relief driver) and won the 1956 race at an average speed of 128.490 miles per hour. 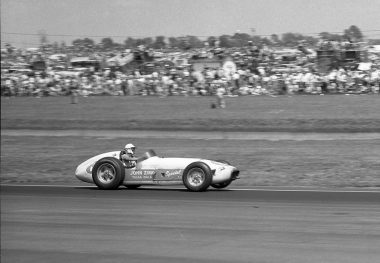 He broke the one- and four-lap qualifying records to win the pole in 1956, delighting the fans by lifting the front left wheel from the track surface as he negotiated the turns in his lightweight A.J. Watson-built John Zink Special. His marks were 146.056 miles per hour for one lap and 145.596 miles per hour for four laps. 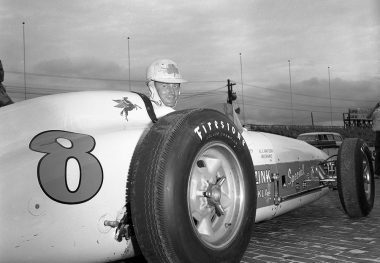 Flaherty became the second driver after World War II to win the Indianapolis 500 from the pole starting position. 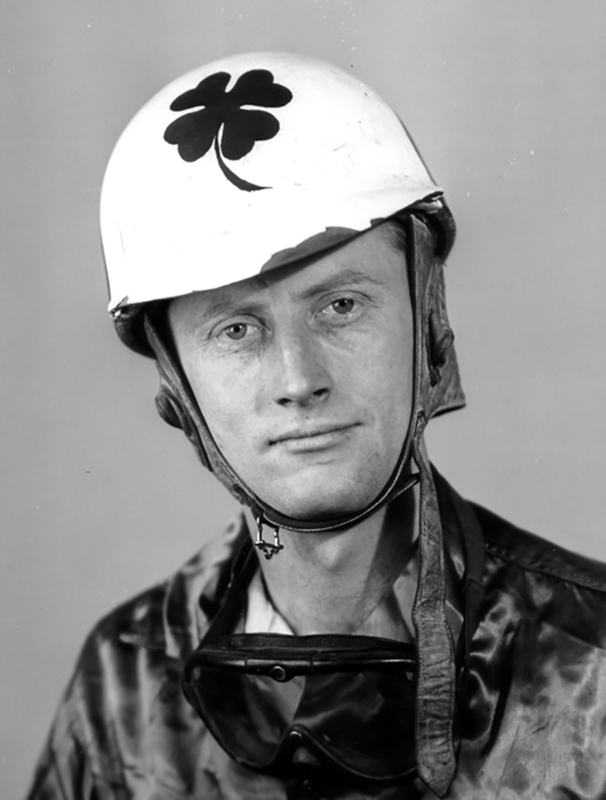 During his career, he also won two championship races at the Wisconsin State Fairgrounds, a 250-mile race in August 1955 and a 100-mile race two weeks after his 1956 Indianapolis 500 win. 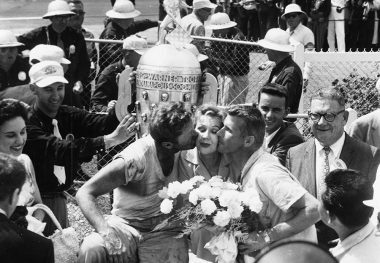 These amounted to three consecutive championship wins on paved tracks. 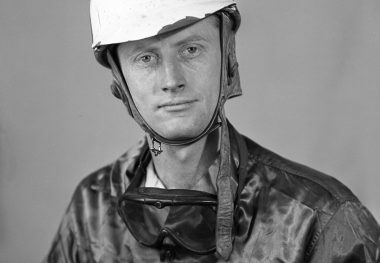 He suffered a severe arm injury in an accident on the dirt track at Springfield, Illinois, in August 1956, but returned after almost two years of recuperation to win his first time out in a 200-mile United States Auto Club stock car race at the Wisconsin State Fairgrounds in 1958. 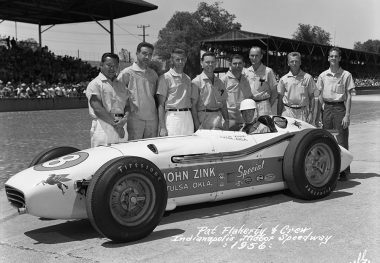 He also led for 11 laps in the 1959 Indianapolis 500, but then raced only occasionally after that and retired in 1963.